Many of the documents in our archives bear the author or signer’s personal wax seal. William Stoughton placed his personal seal at the bottom of a deed from 1690, by which he conveyed several parcels of land in Hingham to Thomas Thaxter. The deed was witnessed by Thomas Mawdesley, who signed his name, and Peter Hicks, who placed his mark on the deed. Two years later, Stoughton executed an acknowledgement at the bottom of the document that the document reflected his true act and deed, likely to prepare it for recording with the Suffolk Registry of Deeds. 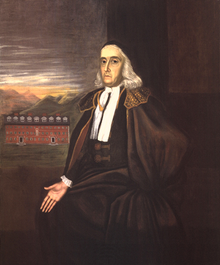 Stoughton’s acknowledgement was witnessed by Samuel Sewall on July 30, 1692. Stoughton and Sewall were two of the seven judges whom Governor Phipps appointed to the infamous Court of Oyer and Terminer. Between June and September 1692, this Court convicted 27 men and women in and around Salem of witchcraft and executed 20 of them. Stoughton was chief justice, and he is remembered for his defense of the Court’s reliance on spectral evidence (a witness’ testimony that the accused’s specter had appeared and tormented him or her) to prove a demonic pact. 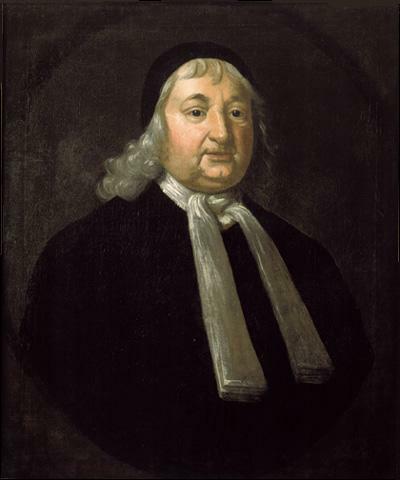 Sewall sat as the clerk of the court, and history remembers him more charitably because, in 1697, he acknowledged his responsibility and asked public forgiveness for his role in the witch trials. 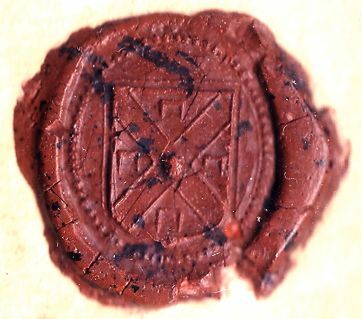 The appearance of the signatures of both of these Salem judges on the deed in our archives makes it a curiosity, as does Stoughton’s wax seal–the very same seal which Stoughton placed on the death warrants of the condemned witches.. However, the date of Sewall’s acknowledgement, July 30, 1692, is what really makes the document intriguing. The Court of Oyer and Terminer was appointed in May 1692 and started sitting in June of that year. The first to be tried for witchcraft was Bridget Bishop; she was convicted and hanged on June 10. On June 29 and 30, 1692, five women—Rebecca Nurse, Sarah Good, Susannah Martin, Elizabeth Howe, and Sarah Wildes—were tried and convicted; they were hanged on July 19. Four men and one woman—George Burroughs, Martha Carrier, John Willard, George Jacobs, Sr., and John Proctor—were convicted on August 5, 1692, and this group was hanged on August 19. Stoughton acknowledged the conveyance of property to Thaxter and had Sewall witness it right in the midst of all this terrible activity. Two men in public life took a few minutes to tend to their other, more mundane responsibilities during an extraordinary period in their lives and our history. The document in our archives is not “important” and does not teach us about the Salem witch trials. It is affecting because it forces us to think of these severe, black-clad Salem judges as individuals. This entry was posted in Uncategorized and tagged Archives, law, Salem witch trials, Samuel Sewall, William Stoughton. “Sewall sat as the clerk of the court” — This is incorrect: Samuel Sewall was one of the judges, but it was his brother, Stephen Sewal, who was the Clerk of the Court.